Alvin Dewayne Hampton, II. was born February 27, 1960 in Galveston, Texas to the late Alvin D. and Mary E. Hampton of Wichita Falls. He was preceded in death by grandparents Ollie and Elizabeth Hampton and sister Forestine Regina Jackson of Houston, TX. A 1978 graduate of Wichita Falls High School, Alvin (Hamp) lived the greater part of his life in Wichita Falls. He went to apprentice school to become a Journeymen Constructionist for the local Carpenters’ Union and later worked for a number of business and people around town. 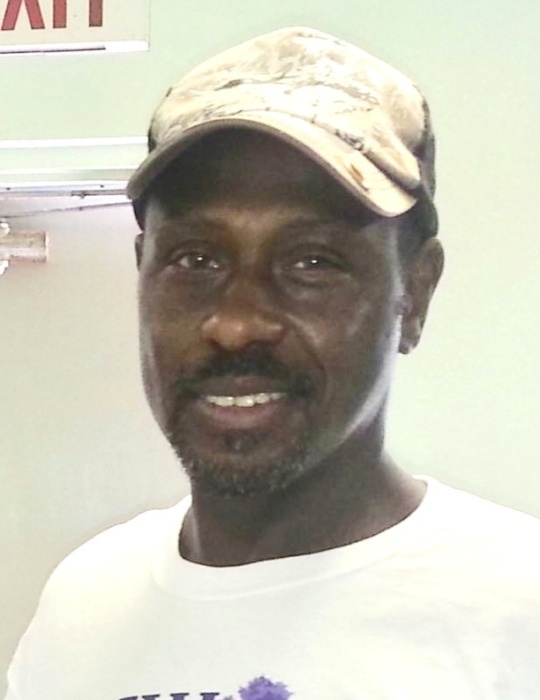 After attending CDL truck driving school in San Antonio, Alvin worked for several construction and commercial trucking and transportation companies in Texas, Oklahoma and Illinois. Alvin is survived by the long-time love of his life; Sandra Cooper, three sons; Alvin D. Hampton,III. of Dallas TX., Derrick Cooper of Denton, TX. and Durrell Lyons of Atlanta, Georgia; five grandchildren. To this life he is also survived by his loving sisters; Cheryl Ingram, Tina Hampton and Rhonda Hampton-Byars of the Dallas, Fort Worth metroplex and a host of cousins, nieces, nephews, friends and family who will miss him dearly.